Leading SKUs on Your Socket Mobile Scanner – How can we help? Note: This is only for manufacturer barcodes on products. Printing labels from Vend will already be in the correct UPC format. 1. Scan the barcode below. 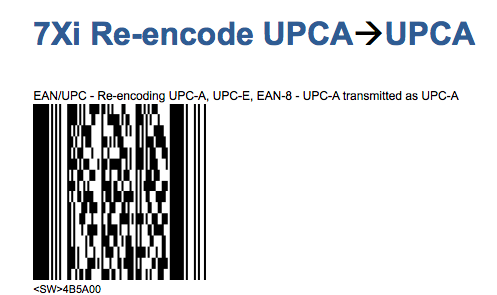 This will change the mode on your scanner from EAN 13-digit barcodes to 12-digit SKUs. 2. Scan your 12-digit barcode as normal and it should scan your product onto the Sell Screen. If you continue to experience difficulties with your Socket Mobile Scanner, contact our Support Team who will be able to help you further.